It is 2028 and Los Angeles is controlled by powerful corporations and overrun with poverty and crime. During a riot over an increase in prices for clean drinking water, a retired ace thief (Sterling K. Brown) is reluctantly assisting his ne’er-do-well younger brother (Brian Tyree Henry) in a poorly planned bank robbery. Managing to get away with bags full of jewels, cash and a mysterious pen containing a priceless secret, the pair are injured during their escape after a shootout with the police. 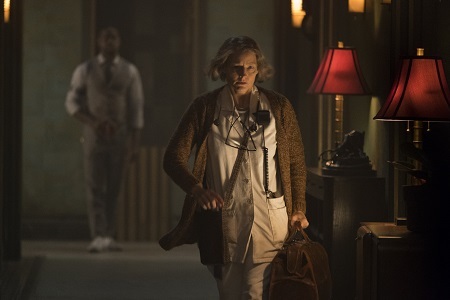 Thankfully, they have a membership at the Hotel Artemis, a secret hospital for elite criminal clientele run by an enigmatic Nurse (Jodie Foster). She is assisted by her faithful orderly Everest (Dave Bautista), a massive granite rock of a man who more than lives up to his name. Giving the thief the code name “Waikiki” and his horrifically wounded younger brother the alias “Honolulu,” she proceeds to patch them up. Other current residents at the hotel include a high-priced assassin known as “Nice” (Sofia Boutella) and a selfish, misogynistic arms dealer tagged as “Acapulco” (Charlie Day), everyone is safe and sound as the riot rages outside on the streets below. 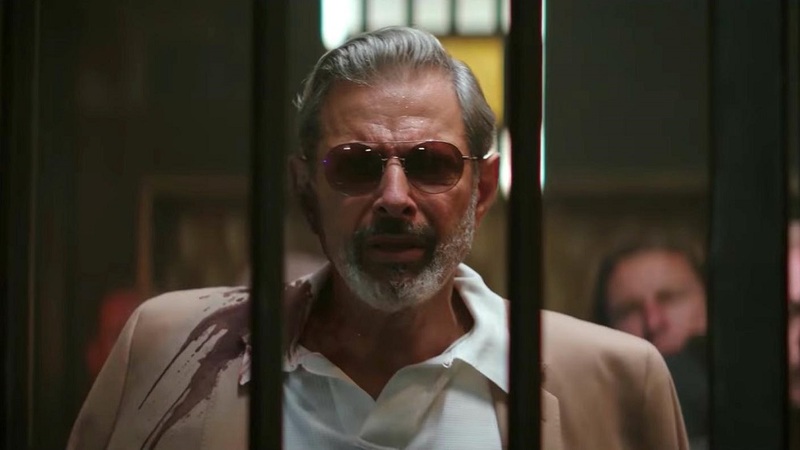 But the city’s most powerful crime boss, The Wolf (Jeff Goldblum), is also on the way to take advantage of the Nurse’s services, and if he learns about the pen Waikiki and Honolulu have in their possession, it’s safe to say everyone currently staying at the Artemis will see their life expectancy plummet to zero. 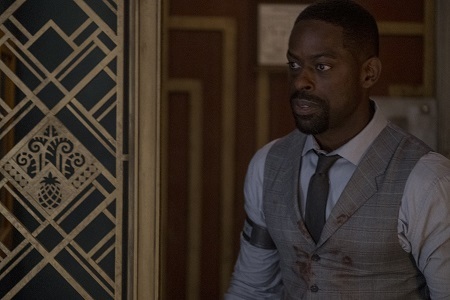 Almost as if it is some sort of side story or spin-off born from the ideas put forth in both of the John Wick adventures, Iron Man 3 and Mission: Impossible – Rogue Nation screenwriter Drew Pearce makes his directorial debut with the intriguingly silly retro action-thriller Hotel Artemis. Positing the existence of a secret series of hospitals around the globe villains pay to become members of where, once inside, no violence or firearms of any kind are allowed or healthcare privileges are revoked, this film is a suitably pulpy, noir-drenched escapade overflowing in colorful characters portrayed with confidently gleeful gusto by an all-star cast. 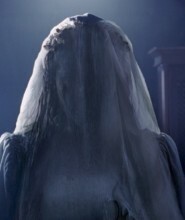 While far from perfect and not entirely memorable, it’s still a darkly enjoyable lark for almost all of its reasonably well-paced 97 minutes, and I certainly didn’t hate sitting in the theatre watching this story play itself out to its inevitable conclusion. It should be said that this is not the giant grindhouse action spectacular the trailers have been selling. Pearce spends more time world-building than he does staging a never-ending series of fisticuffs, shootouts and feats of daring-do. It’s a Wednesday-in-the-life for the Nurse and for Everest and that’s just about it, and while this one undeniably goes a bit crazier and cockeyed than the pair’s typical hump days likely do, the way they so casually attack each obstacle thrown their way maybe what transpires isn’t as unexpected to them as a viewer might initially assume. They’re at the Artemis for a reason, intent on doing their job no matter what fit of lunacy they have to overcome to do so, their relationship the beating heart at the center of the story everything else gains its precious lifeblood from. The other obviously important element is what is happening with Waikiki and his brother. This retired thief knows more about what is going on in Los Angeles at this moment than he cares to openly admit. He also figures out pretty quickly what Acapulco’s profession is and what old friend (and maybe lover) Nice is doing at the hotel, his ability to take snippets of supposedly disconnected pieces of information and assemble a finished puzzle irrefutably impressive. Most of all, he’s intent on doing what’s best for his brother even if his younger sibling has been something of a constant disappointment, Waikiki’s love for him no matter what his sibling’s faults might be understandably overriding his normally rational thought processes to a substantial degree. Not to say this is a movie of relationships, talk and little to nothing more. There is violence. There is carnage. There most certainly is bloodshed. Pearce doesn’t shy away from any of that stuff. He just waits to unleash the butchery and the chaos until it’s going to be most viscerally effective. The last 20 minutes of the film is the payoff all of the slow-burn build has been promising, and for the most part the freshman director pulls it off. An extended hallway fight scene where Nice draws a line in the sand she insists no one is allowed to pass is especially impressive, Boutella once again showcasing that aggressively violent balletic grace that helped her steal so much of Kingsman: The Secret Service and Star Trek: Beyond right out from underneath her costars. It’s still pretty thin, and Pearce, for all his narrative stratagem, is never quite able to bring the same level of authenticity and intimate realism the John Wick screenwriters have managed to achieve with both of those action favorites. 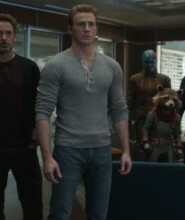 Also, as terrific as Bautista is, and after Guardians of the Galaxy Vol. 2 and Avengers: Infinity War his comedic timing has never been more on-point than it is right now, once this goliath of a hospital orderly actually gets to get involved with the bone-crunching action the sequence itself is oddly underwhelming. Pearce and his editing team overdo it with the cutting and the close-ups, and as such Everest’s ax-wielding heroics are undercut to the point they sadly barely registered with me at all. 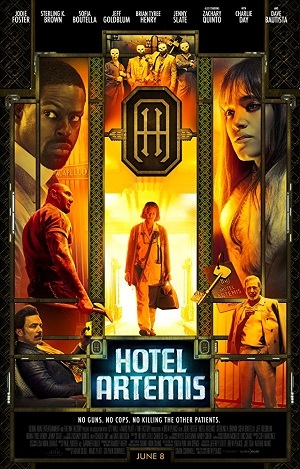 But I still had a jolly time watching Hotel Artemis. Foster is wonderful, her chemistry with Bautista having a surprising emotional oomph I wasn’t expecting. Brown is also excellent, while Goldblum’s brief turn as The Wolf is every bit as idiosyncratically extraordinary as I hoped it would be when I saw his name in the cast list. The whole thing rather reminded me of similar stripped-down thrillers from the ‘70s and ‘80s, films like John Carpenter’s Assault on Precinct 13 and Sam Firstenberg’s Avenging Force, and to my mind this is a giant positive. Pearce’s debut, while hardly groundbreaking, is still impressive on a number of levels, and I’m honestly excited to see what the filmmaker might have in store for us all next sometime in what I imagine will be the very near future.